For years the hardware industry has battled with the problem of cylinder snapping, bumping and plug extraction and without doubt this industry has developed a broad range of door lock solutions that adequately protect doors from a cylinder attack. 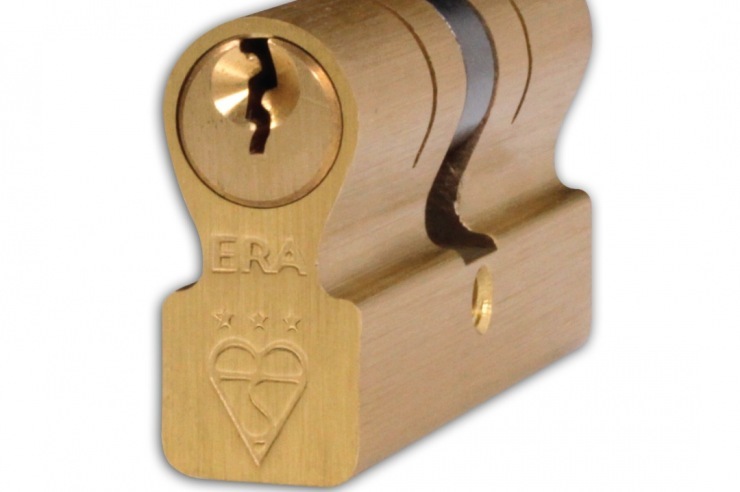 But in reality, even the best solutions on the market today are only one step ahead of the burglar explains Will Butler, group marketing director at ERA, which is why ERA has developed the ultimate locking solution – the Invincible. “We knew that when we came to market with our ultimate TS007 3 Star Accredited Cylinder it needed to be better than everything else in the market. It needed to be indestructible. But critically it needed to give the fabricator, and therefore the retailer, the ultimate selling opportunity when it comes to security. We wanted to be confident that it would far surpass the national standard attack test and take locking standards to a level that would defeat every burglar. “So we’ve worked hard with our fabricator customers and our R&D team to develop a new type of cylinder lock that actually bears no resemblance to anything else in the market but ultimately does several things better than any other 3 star cylinder available. The first characteristic that sets Invincible apart is proven through the testing, which is what we demonstrated at the FIT Show – even after 15 minutes of manual attack, the Invincible is intact, it doesn’t bend, it doesn’t snap, there is no discernible change to its shape. With a typical euro cylinder, there’s 80% less metal in the area around the central fixing hole compared to the front and back sections of the cylinder – that’s why snapping them is so easy. We recognised that to truly eliminate the snapping issue we needed to redesign the euro cylinder itself and address this area of weakness. The unique ‘squared off’ shape of the Invincible adds 5 times more metal into this vulnerable area and the result is a home security powerhouse. A new shape of cylinder of course means new lock cases and new handle cut outs, but because ERA’s technical capability extends to all of these products we’re been able to break out of the restrictions and inherent weaknesses of the euro cylinder for the first time. The Invincible comes with maximum certification in the form of BSi Kitemark performance to BS EN 1303:2005 and TS007. In addition the Invincible meets the requirements of PAS 24:2012 for a full doorset. “Central to our ethos at ERA is giving our fabricator and retailer customers the opportunity to really differentiate their door offering. While Invincible out-performs any other 3 star cylinder in the market, the ultimate benefit comes in its visual performance. The external profile of the Invincible is so distinctive compared to every other cylinder in the market that a passing burglar is going to think twice about attempting to break it – that’s an incredibly powerful retail message and we’re developing a really strong retail marketing campaign that our fabricator customers will be able to tap into it.